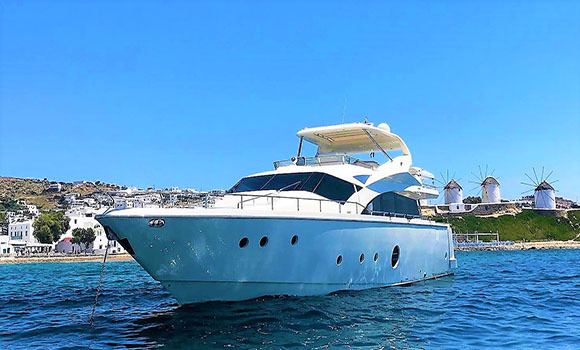 We are pleased to announce that Questa e Vita is now available for charter for 2019 with 10% Discount for all High Season (July & August) charters of minimum 1 week, confirmed until end of March 10th 2019. QUESTA e VITA has received remarkable feedback on all charters during last season. QUESTA e VITA is a stunning Aicon 75 fly bridge luxury motor yacht, accommodating 8-10 guests in 4 cabins. Professional Management Team maintains her all year round in TOP condition -like brand new- and guarantees the highest level of service on board.